Home / Liga / Primera / Celta Vigo / All go for Iago – Could the Celta Vigo striker be heading for the Premier League? 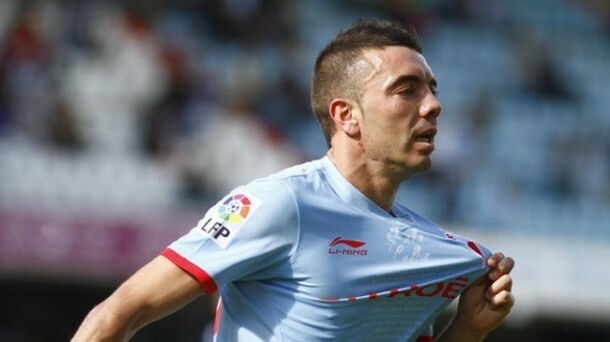 Swansea have highlighted Celta Vigo youngster Iago Aspas as their top transfer target, according to reports in both England and Spain. Having discovered the’ bargain of the season’ in the shape of Michu last Summer, Swansea boss Micheal Laudrup is again set to raid La Liga when the transfer window opens on the 1st of July. Recently nominated as El Centrocampista’s most influential player, the 25 year old has had a direct participation in 59% of his side’s goals this season, form that has attracted the attention of a whole host of clubs. And it is widely expected the striker, who has been at Celta Vigo since 1995, will finally move on from the Balaidos Stadium this summer.